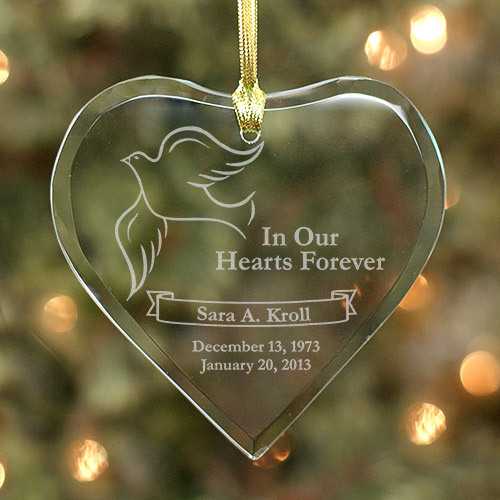 This heart shaped memorial ornament measures 4" x 3" and can be personalized with your loved one's name and dates. 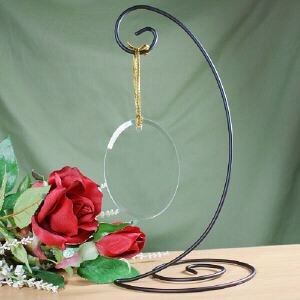 Display this on your Christmas tree during the holidays or on our ornament stand year round. Either way, this is a great Memorial Gift Idea and keepsake. If you are looking for Sympathy Gifts for Men, this is a perfect idea.